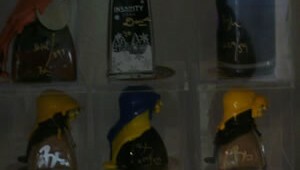 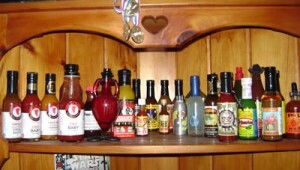 Ok so here are some of our bottles. 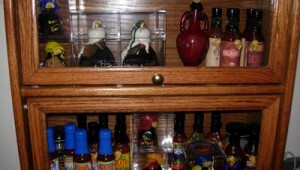 Here are some of the boxes that sit in the attic because the bottles just don’t have a home. 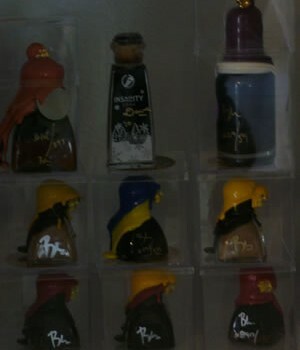 There are actually about 5 more like this but I couldnt lift these to take photos of them all. 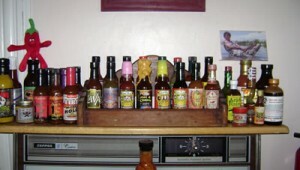 Previously featured here, Graham was kind enough to send in an update to his hot sauce collection. 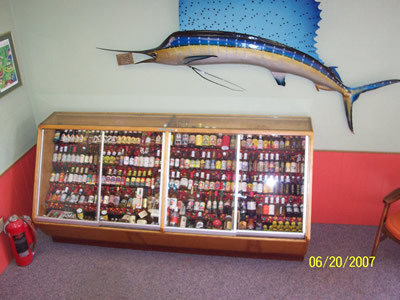 It’s seen some impressive changes, nice work Graham! 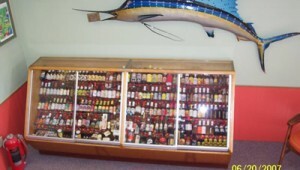 Only a small part of CaJohn’s collection… And in case you were wondering what sort of case that was, it’s an old drugstore cigar case with the humidor removed. 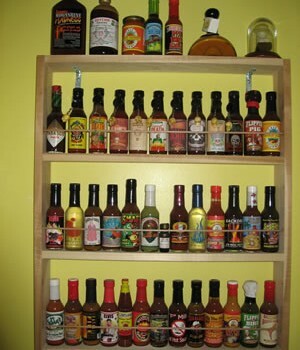 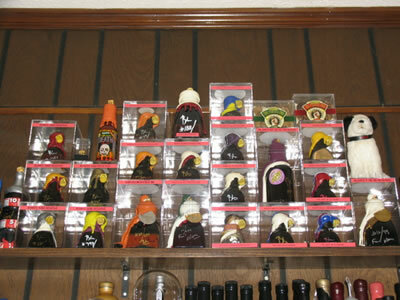 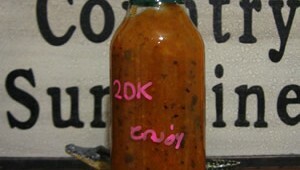 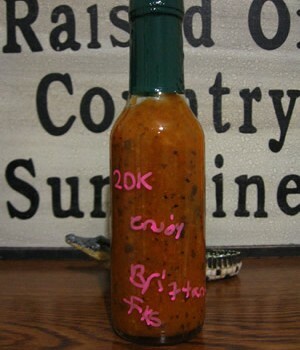 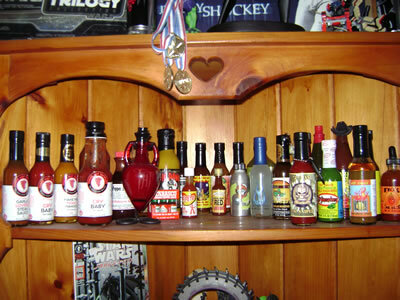 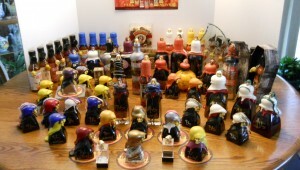 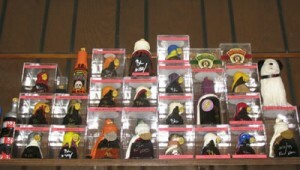 Another growing hot sauce collection, Ethan sent in pictures of those bottles that are in need of a display case. 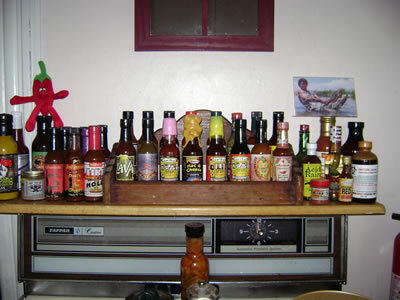 Known as C-Murder in the HSB Forum, Cedric is a newbie to hot sauce collecting but has been enjoying the growth of his collection so far. 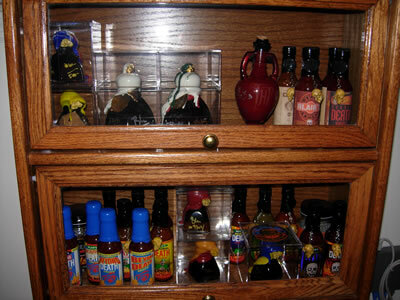 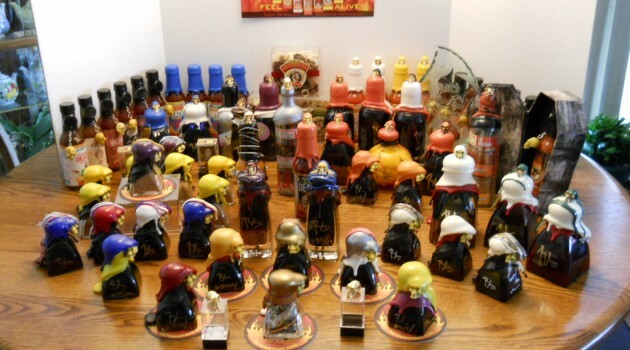 We’ve seen Henry’s hot sauce collection before, but time changes everything in a hot sauce collection and he has much more to show off this time around! 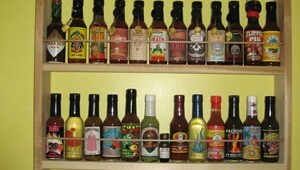 Many more below the fold!